“Low on Freon” and “Excessive Freon” result in nearly identical Freon pressures on our gauges when the CFM is low. 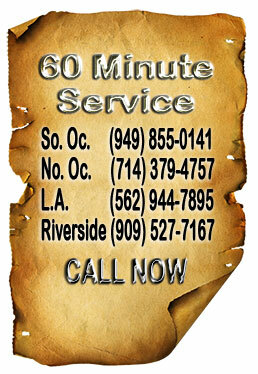 If an air conditioning system is not moving the correct amount of airflow (correct means within 87.5% (350 CFM) of the 400 CFM per Ton Industry Staple) there is a distinct possibility that adding Freon to your system will result in a Freon overcharge. 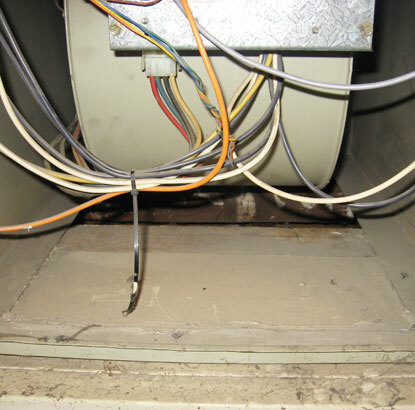 A Freon overcharge, as well as a Freon undercharge, can lead to high electric bills, poor cooling ability and a reduction in the life of the air conditioning system. The most common occurrence that destroys an air conditioning compressor is called a “Liquid Flood-Back” and this means that liquid Freon enters the compressor to be squeezed destroying the com pressing chamber in the process. 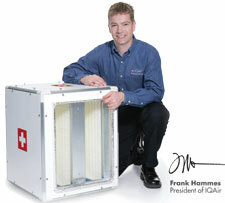 “Liquid Flood-Back” is the reason for more than 90% of compressor failures during the manufacturer’s warranty period. 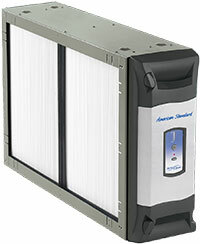 Electrical short circuits are common in air conditioning. 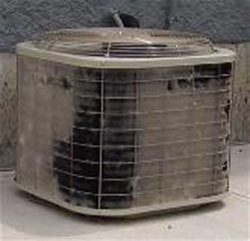 The picture to the left is an example of a worn connection from the vibrations of the outdoor air conditioner. 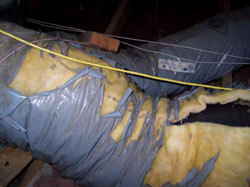 The electric wire shorted to ground and blew a hole in the sheet metal shroud. 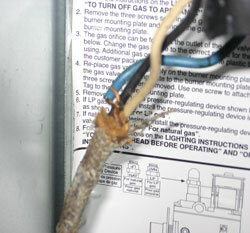 The picture to the right is an example of the manner in which the electrical wiring connection were left on a home. 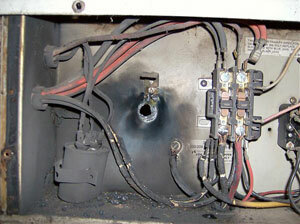 These are 120 volt circuits that are live, deadly, and will corrode until they burn through. 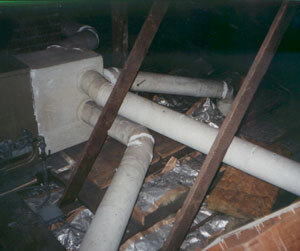 The picture to the lower left is a typical rooftop package unit that has been repaired poorly many times. 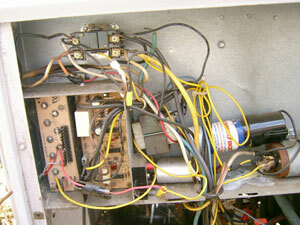 The wiring is a mess and components have been changed out without the proper holding brackets. In the lower portion of this picture you see a capacitor. The voltage on the terminals of this capacitor can exceed 400 volts. 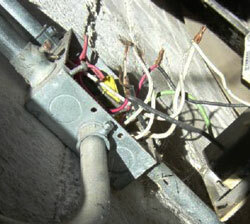 With no electrically insulated cover this is a potential for a short circuit.